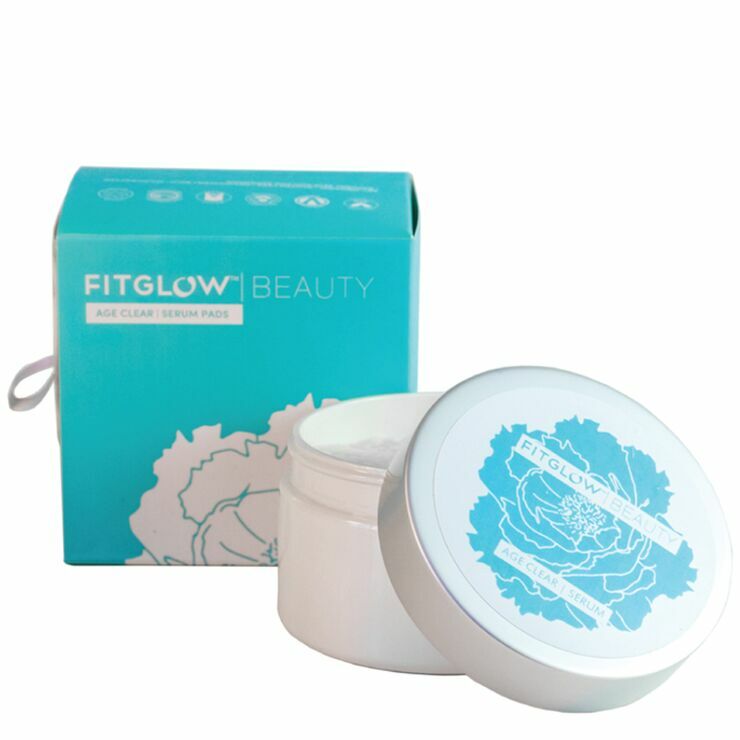 Address signs of aging and breakouts at once with Fitglow Age Clear Serum Pads. Essential minerals lend the appearance of firmer, more even toned skin, while camu moisturizes and offers a sense of healing to tired or stressed skin. Sugar beets improve signs of dead skin build up, dryness, and blemishes. And colloidal silver is used for its antibacterial properties to keep skin looking clear and healthy. Swipe an anti aging and acne skincare pad over clean skin twice daily to moisturize and diminish the appearance of blemishes. For sensitive skin types, use once daily. I was really hesitant about getting these because it's quite a splurge, but I feel like these have been a KEY component in clearing my skin up and has really reduced my acne scarring. I hate that they're so expensive, but I really feel like they made such a difference with my skin! I have very sensitive skin, so I just use them once a day—at night right after I wash my face and then I let it settle into my skin for 5-10 minutes before continuing my night-time routine.